Chat with your Facebook friends, anonymously. Anon pairs you and random Facebook friends. 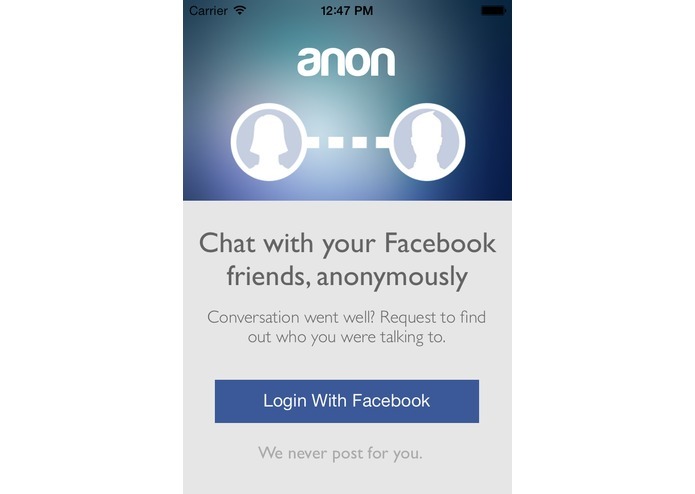 Users can chat anonymously without exposing themselves. Conversation going well? Request to find out their identity and be surprised!